I like watching a good marathon. Obviously, I don’t mean watching people run! I mean sitting down with a pile of DVDs, such as British television, and watching them on a rainy afternoon. Sometimes, I like to mix up these marathons by doing something unconventional. It’s a little something I call watching different programs based on a certain year. How does that work? Basically, I randomly pick a year, go into my database and filter by that year. What I end up with is a selection of episodes from programs I have in my collection by that year. Convoluted, yes! Anyway, the year which was chosen was 2001. I was immediately concerned by picking that year only because I know my own collection. I am a fan of television with the majority of my collection between the years of 1960’s and 1980’s. I assumed, as the year I had chosen was in this millennium, I would have nothing to watch! I was mildly surprised. There was a decent amount of programs to chose from. I will just run through the programs and comment on what I watched and whether or not I liked it. This is the first Absolutely Fabulous made since 1996. This is the example of why I love British television. British television series can go off the air and take 3, 5 or 16 year hiatus periods. When it comes back, it’s the same series. There is no distinguisher in the title such as “New”, “Return”, “Again”, or “Now”. Clearly the BBC believes the viewing public is smart enough to figure out that this is the same series with new episodes despite the fact it has been off the air for a few years. No US show could do that. When Absolutely Fabulous starts up with Parralox, there is no fanfare to the returning cast or cheap stunts. The series just resumes like there never was a break. I like that. When I first saw Parralox, I really enjoyed it. Looking at it now, about 9 years later, I find it not very good. The one thing Eddy could get away with is rattling off the checklist of new inventions and trends that she has joined into since we last saw her in 1996. This works because that is what the character would do. Eddy never made the trends, she just followed. What I didn’t really like about the episode was how pathetic Eddy and Patsy were. They were always losers but it felt different to me this time. In the past, they were still in the circle looking in but now they were really just sad. Small Opening was much, much better. Saffy is basically giving herself therapy for the years of turmoil caused by her Mom and Patsy. She does this by mounting a local play that is based on her life. Her version of herself is played by a pretty young woman who fancies her, Eddy is played by a large obnoxious woman and Patsy is played by a man in drag. There are some fantastic moments in the episode where the cast of the play do a great job of imitating their “real” counterparts. The highlight for me is the scene in the living room where Eddy is demanding an answer from Saffy as to why she went ahead and did this play. Of course, the best part is always when Patsy and Saffy go at it. Joanna Lumley and Julia Sawalha are excellent. The screaming and emotion could easily be mistaken for serious drama if there wasn’t the laughter. Forgive me if I don’t talk about these too much. I’ve had these DVDs for many, many years and have played them multiple times. 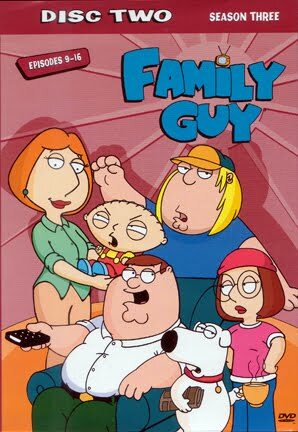 The let down of the two episodes are that there is little of Stewie or Brian in it. When those two play in an episode together or are featured in one of the travelling episodes, it is always funny. Don’t get me wrong, these are great episode and they continue the development of the series as we have it today. I thought the series was really good before it went on hiatus but after it came back, it was amazing. I love Futurama! It is smart, funny and multi-layered. A lot of the animation process was ahead of its time such as the ships. Plus great voiceworks from the actors. At first, I wondered if Katey Sagal was going to be the weak link to the cast line up. I was extremely wrong, she is wonderful and in these episodes it really shows that Leela is her character. 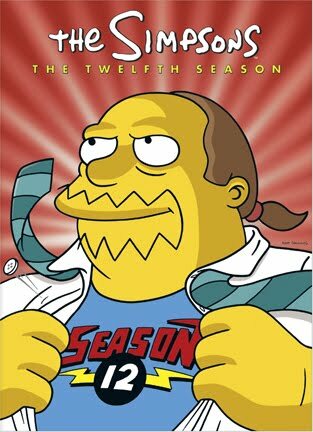 Of course, the amazing Billy West is the voice for many of the characters along with Joe DiMaggio as Bender Rodriguez! Amazon Women in the Mood is about Kif trying to ask Amy out on a date. 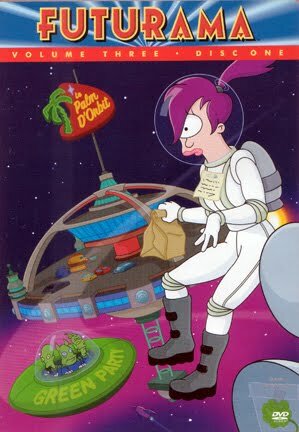 Zapp Brannigan steps in and ruins everything including the spaceship restaurant they were eating in. That crashed into a planet where large Amazon Women rule. Bender and Fry attempt to fly to rescue them. All the men are put on trial for the crime of…..well, being men. They are sentenced to death via Snu Snu (Whoopie, if you get my drift!). The Amazon women are ruled by a Femcomputer voiced by the late Bea Arthur herself! Her (I mean the Femcomputer) and Bender hit it off to allow everyone to escape. In Parasites Lost, Fry eats an old egg sandwich from a truck stop in space. Of course he contracts worms; a lesson to us all! The worms are intelligent and they start repairing Fry and make him smarter. They don’t seem to want to take him over or do anything malevolent to him. They just want a cosy place to live. Leela notices a positive change in Fry who is romantic, smart, and well…SMART! Fry eventually gets the worms out of his system and reverts back to his normal self. Futurama is fun and was very fresh for its time. To me, it was the best thing on TV. The show changes its emotional output every week. For example, Amazon Women in the Mood demonstrates some great comedy moments. Anything with Zapp is funny such as when he gives Kif his book of pick up lines in case Kif runs out of things to say to Amy. Of course Kif can never stand up to Zapp. In Parasites Lost, there is a gentleness to Fry as he does many things for Leela to show her how he cares for her. That stuff is always in him but the worms help him articulate it. After Maddy (Caroline Quentin) left the series, I struggled to really watch it. I saw the episodes with Julia Sawalha but never really enjoyed them. No fault of hers. This is the first time I saw Satan’s Chimney. I was bored with it. Mary Tamm makes an appearance in the episode. It took a long time to get going. 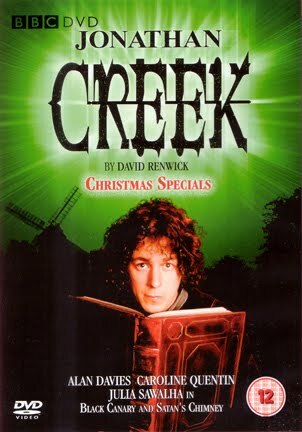 Jonathan Creek finally starts to figure stuff out 3 quarters of the way through but still that was not enough. Just as I thought it was over, there was seriously another 10 to 15 minutes. I am glad I got the DVD set cheap! Though to be fair, the series is amazing and this is just one episode which wasn’t that great but it was the second episode of the evening with Julia Sawalha that had a female actor lust after her. I say actor because both women in Absolutely Fabulous and Jonathan Creek played the part of actors. 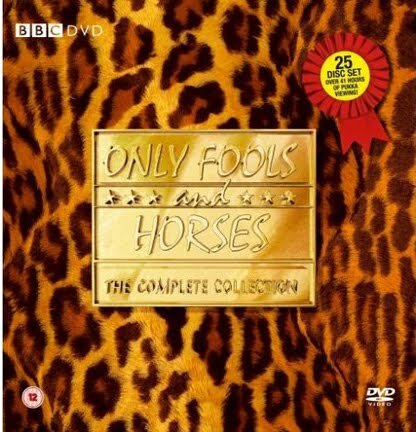 Only Fools and Horses – Christmas Special: If They Could See Us Now….. WHY!?!?!?!? Why bring a series back which ended so successfully in 1997? In my opinion the story was over. What annoys me is not that they came back and lost all of their money that they had made by the end of the series in 1997, to me it is that the cast was not complete. Buster Merryfield, who played Uncle Albert, dies shortly after the series ended in 1997. He was a huge part of the series. Also, Kenneth McDonald who played the Nags Head Pub owner Mike passed away earlier before filming started. Don’t get me wrong, the episode had some laughs but it just kind of felt like it was trying too hard with little results. Especially the scene with Rodney and Cassandra “role-playing”. Rodney was Russell Crowe and Cassandra as the woman from The Bill. Damien, Del’s son, was also extremely annoying. This was a first of three specials to finish the series off but I ask myself, why? It was finished off perfectly well before. It amazes me that writers keep finding storylines for The Simpsons but they do. I love the show and still watch it today although I think it lost something when it went HD. Tennis the Menace is about Homer and Marge installing a Tennis court in their backyard. Homer and Marge disagree about well Homer plays. The end result is the family joining a charity match and are replaced by pro tennis players. The Day of the Jackanapes is much better with the return of Sideshow Bob as he is released from prison only to create a plot to destroy both Krusty and Bart. Episodes with Sideshow Bob are always funny. Bob has class, charm, brains but is also an idiot. This is why he is so much fun to watch. One minute, he has an amazing plan to kill Bart and the next, he stepped on a rake which hits him in the face. Voiced by Kelsey Grammer, who was one of the earliest guest voices going all the way back to season one, which I rarely watch because I don’t like them. The frustrating this was is that I originally decided to watch Homr and Pokey Mom for the two Simpson episodes. When I went to my Season 12 DVD set, Disc 2 vanished. Anyone who knows me knows that I am very careful about where my DVDs are stored and how I take care of them. I still haven’t found them. I did a similar marathon last year for 1979. A lot more different types of programs and it toll me about 16 hours to get through. The 2001 marathon was interesting because I actually watched some American shows which I rarely do. Plus all the American shows I watched were animated. That’s more of a personal preference than an industry trend. What was interesting though was that all of the US programs had the standard 4:3 aspect ratio while the UK shows all were 16:9. It took us a long time to catch up. Enough. I’m tired and probably boring everyone. Next Week: shorter viewing awaits me as I look through a few episodes of Till Death Us Do Part. 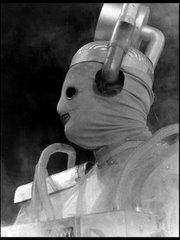 These will be black & white episodes from earlier in the series. None of the episodes are available on DVD….unfortunately! Cool blog, I had not noticed from-the-archive.blogspot.com earlier in my searches!